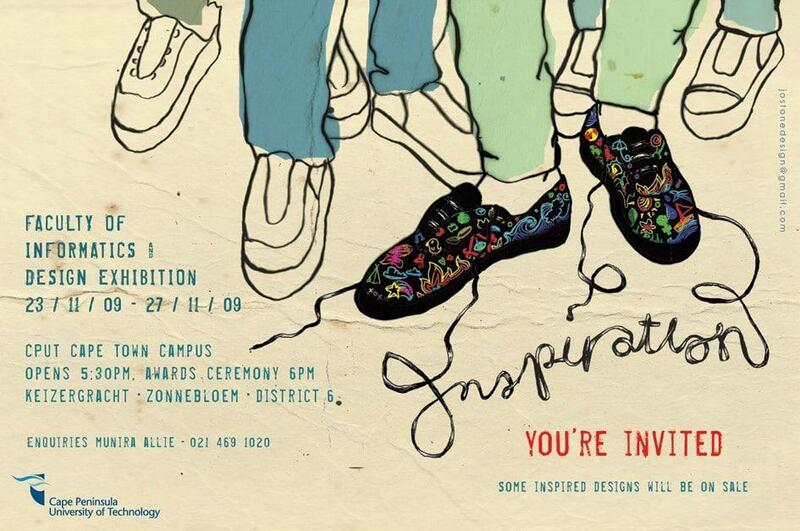 Monday is the opening of theÂ Cape Peninsula University of Technology (or in short, CPUT) Faculty of Informatics and Design (or in short, Design) exhibition. It is an amazing event with floors filled with creativity. There is Industrial, Surface, Jewelry, Fashion, Graphics, Architecture, Photography … you name it, if it has something to do with Design, its going to be there. This entry was posted in Blog and tagged 2009, Cape Peninsula University of Technology, CPUT, CPUT design exhbition, Design, Design Exhbition, Inspiration, Student exhbition. SO going to be there, thank you! Will spread the word! Have a nice weekend and a nice day at the Exhibition on Monday!